Our Gold Label is what made Catsmo what it is today. 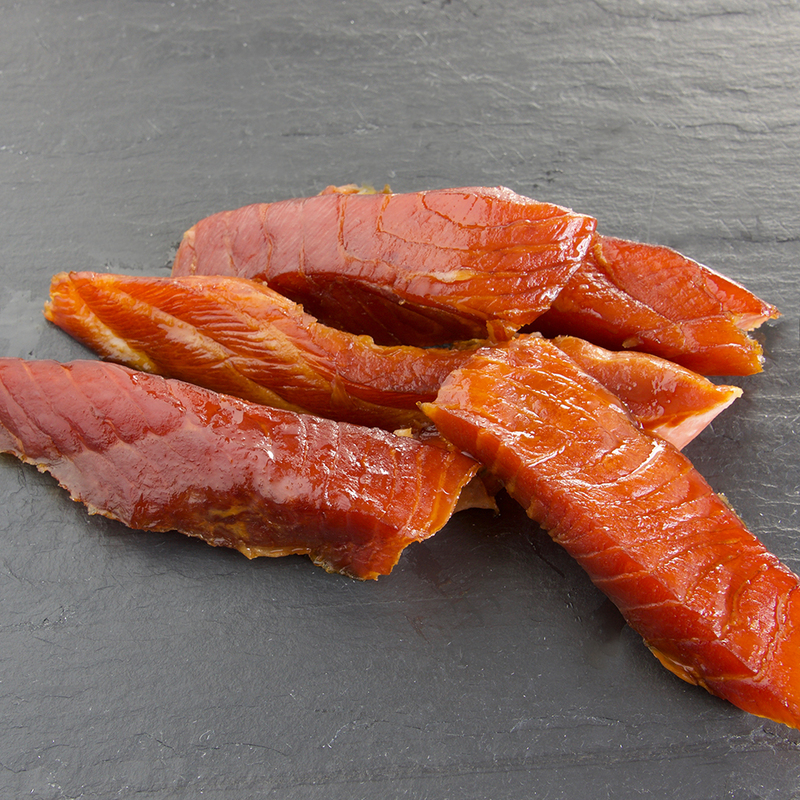 With its rich, buttery texture and sweet lacing of fruit-wood smoke, it accounts for most of our smoked salmon sales. Smoked with the perfect blend of apple and cherry woods, our salmon is praised for its delicate smoked flavor and silky texture. Our salmon comes from the best aquaculture farms located in the the icy Northern Atlantic off the coast of Scotland. We receive daily deliveries of fresh Atlantic salmon flown in directly from the farms fresh, never frozen, giving it an amazingly silky texture, and rich, deep orange color. As one of the most coveted cuts of smoked salmon, this center cut is the filet mignon of salmon. The salmon loin is what the Russian Czars were served during times of great celebration earning it the name ‘czar cut salmon’. The loin is one of the meatier cuts of salmon: uniform in thickness, flavorful, and with a succulent texture. For an elegant, understated presentation, place the salmon loin on a flat platter, slice it into half-inch medallions and serve with a squeeze of lemon and garnish. This buttery Scottish smoked salmon is scotch-cured and smoked using oak wood as opposed to fruit woods. Loch Kairns Farms’ Smoked Scottish Salmon is infused with the richness that comes from natural oak smoke, and contains no preservatives. Smoked Irish salmon has a firmer texture and a stronger smoky flavor than regular smoked salmon. 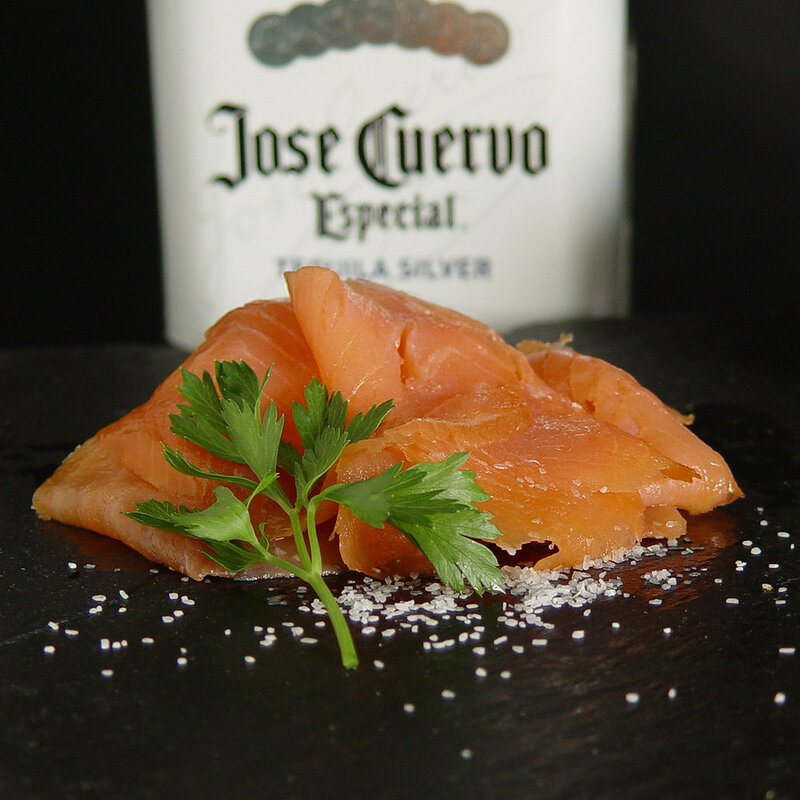 We cure it with traditional Irish whiskey and, like our Scottish salmon, we smoke it using Oakwood. Fresh as a four-leafed clover on a crisp, dewy morn. Similar to our Gold Label with its delicate smoked flavor and silky texture but with a unique Scandinavian curing recipe. Norwegians are masters at preserving fish so who better to borrow a recipe from? 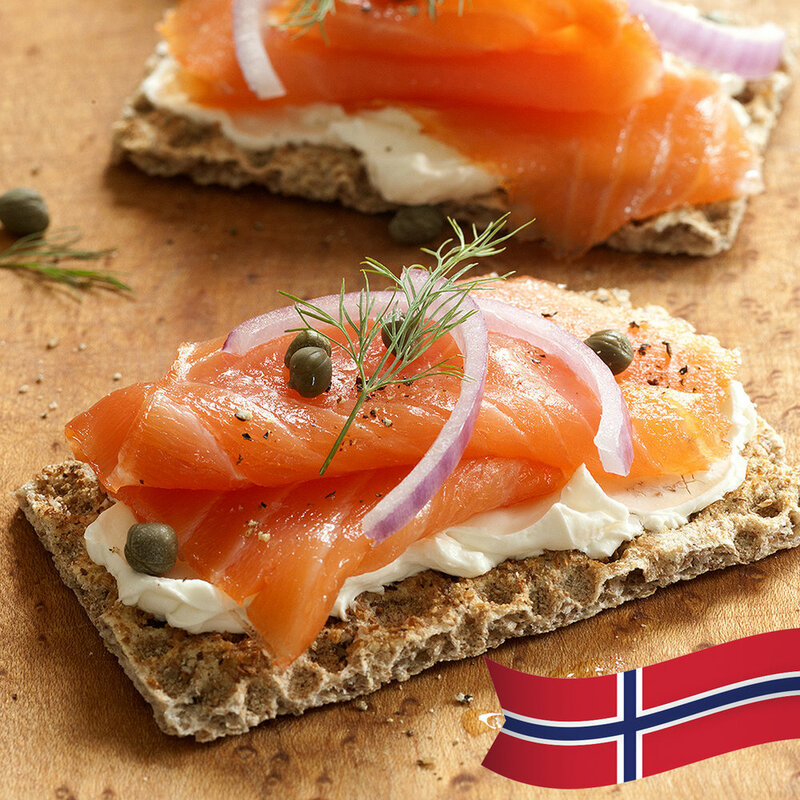 Grab a bottle of Aquavit and some crisp bread and you’re good to go! Silver Label Wallkill Farms Nova Smoked Salmon is perfect when price matters. Entertaining on a budget? No problem. 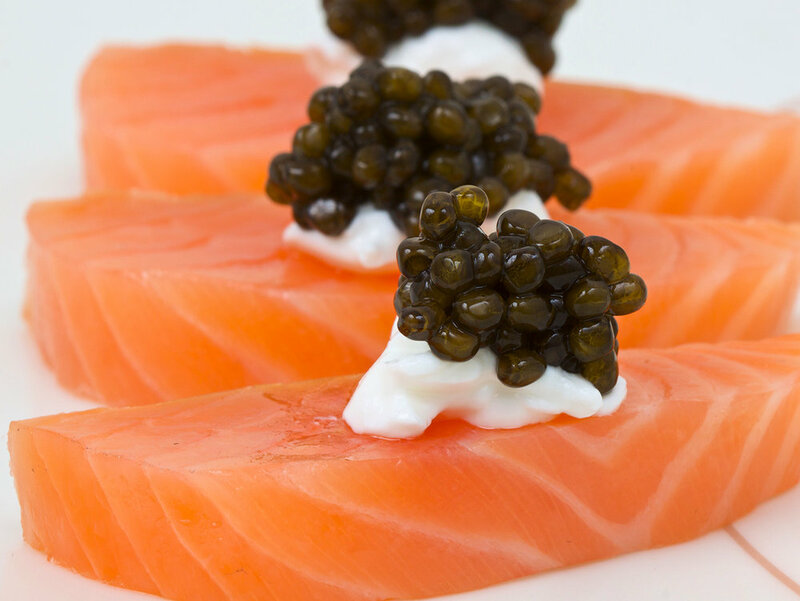 You can wow your guests with luxurious and highly affordable Nova salmon appetizers. Nova is the mildest of the smoked salmons and is therefore the ideal choice when you’re not sure of your guests’ preferences. This is an organic Scottish salmon from a certified organic farm in Shetland, Scotland. The salmon are raised 100% organically and fed only organic food. No chemicals, antibiotics, nor medications are used at any time while raising these organic fish. The fresh organic salmon are then smoked by Catsmo's traditional artisanal process. Smoked at a higher temperature than cold-smoked giving it a flaky texture. Hot-smoked baked salmon is a better choice for cooking hot dishes like pasta sauces, scrambled eggs, and in quiche. Flaky, moist, and perfect on its own or infused into a cream sauce for pasta. Delicious served cold or hot it's as versatile as it is flavorful. Click on any of the flavors below to be taken to our online store.